marketing in the Far East. Prague (October 26, 2018). "m2C" – the "marketing to China" conference coming up in Prague in January 2019 is a new concept of knowledge sharing event between high-caliber professionals focused on Chinese digital marketing & eCommerce and Western companies interested in entering the Chinese market and launching promotional campaigns and sales activities to its 1.4 billion consumers. Hospitality and travel are two segments of many, such as consumers, retail, sport, real estate, food, entertainment, fashion and technology. 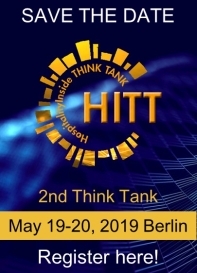 hospitalityInside.com will support this premiere as media partner and offers its subscribers and HITT Think Tank participants special rates. Early-birds benefit most. The marketing to China Conference (m2C) is scheduled to take place on January 29-30, 2019 in Prague, Czech Republic at the Clarion Congress Hotel. It is a marketing event fully focused on China, dedicated to bringing chief marketing officers, marketing professionals, vendors, and marketing technology and service purchasers together in an environment that fosters meaningful connections. 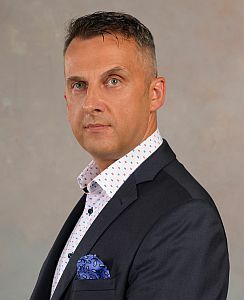 Conference host is Tomasz Janczak, founder of H8, Education& Consulting, a co-producer of eCommerce event series for managers and executives. Tomasz has also been organizing dotcomhotel, a leading travel tech conference in Central Eastern Europe. He gained his Chinese experience while holding the position of VP Digital Growth at Plateno – the biggest Chinese hotel company in its European headquarter in Berlin. He also partners with China Outbound Travel Research Institute (COTRI headed by Prof Dr Wolfgang Arlt), acting as Country Partner for several countries in Central & Eastern Europe, providing training & consultancy on Chinese outbound travel. "I'm excited to introduce European businesses to powerful concepts that can help them shape winning strategies for the Chinese market," says Tomasz Janczak. 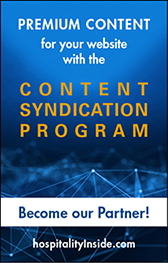 "This event is a necessity for any professional interested in learning the latest about the marketing to the biggest consumer market of 1.4 billion people." 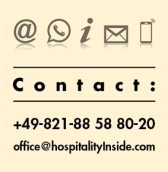 Subscribers to HospitalityInside's paid content magazine and participants of the HospitalityInside Think Tank (HITT) receive a 20% discount on the ALL-IN and VIP PASS until the end of January 2019. To benefit from the discount, please use this link to register and enter the PROMO-CODE "HOSIN" in the booking form. You find the regular Early-bird rates here.